Area residents looking for a good vision center in Cambridge, MA can benefit by contacting Parrelli Optical. The experienced doctors and optical specialists at Parrelli take their time to ensure each customer’s exam is completed properly and not rushed. They understand that a person’s vision is one of their most precious assets, so the doctors take their responsibilities seriously. People who prefer the comfort and simplicity of glasses will find a wide array of lens and frame options at the vision center at Parrelli Optical. Customers can choose from several new and popular designer brands. There are also sport lenses, safety glasses and prescription sunglasses available. 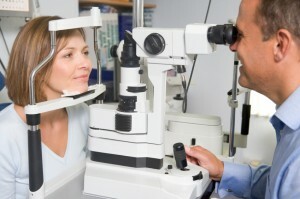 Eye exams are not only important for maintaining good vision but also for medical purposes. A good eye doctor may be able to warn patients about other serious non-vision-related illnesses in their early stages. One example is diabetes. Optometrists can often detect diabetes in an eye exam before it can be detected with conventional tests. They can also detect serious vision problems such as glaucoma and macular degeneration, which will both worsen quickly if they are not caught early and treated properly. Do not delay in scheduling an eye exam. Call Parrelli Optical to connect with the best vision center in Cambridge, MA.